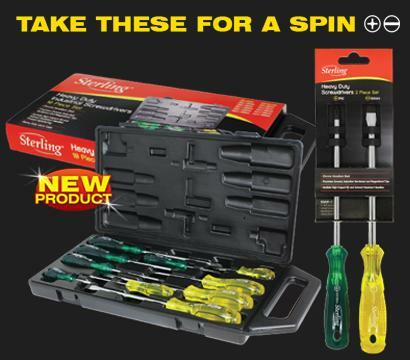 Industrial Heavy Duty Screwdriver Sets from Sterling. Also available as a handy 2 Piece Set containing both a Phillips and Slot Screwdriver. Ask us today for your local distributor.